Sabrina began singing professionally at the age 13 and has been involved with numerous musical projects throughout the years. Conquering the world of country, folk, rock, funk, disco, and pop music, weddings, funerals, theater and even a brief of claim to fame of having some of her recorded songs played on national radio. Sabrina is always happy as long as there is music and singing in her life. Now, she's enjoying 2016 by belting out tunes for Simple Groove with her handsome hubby, Rob (lead guitarist), by her side. On her off days, Sabrina enjoys spending time with Rob, their daughter and all their little fur babies. Sabrina's Musical influences: Stevie Nicks (of course), Ann Wilson (Heart), Pat Benatar, Led Zeppelin, and The Eagles. Favorite Albums of All-Time: Bella Donna (Stevie Nicks), Seven The Hard Way (Pat Benatar), Brigade (Heart), Led Zeppelin IV, Eagles Greatest Hits (Volume 1), Sound of Madness (Shinedown), Holding Onto Strings Better Left Frayed (Seether), and Gutterflower (Goo Goo Dolls). Rob has been playing and performing for 30+ years. He is happily married to his lovely wife, Sabrina, who is also the lead singer for Simple Groove. Together, they have one daughter. Currently, Rob gives private guitar instruction for all levels, as well as offering demo recording for local bands. Rob is an experienced creative performer of a variety of musical instruments and styles, such as progressive rock, funk, blues, jazz, and classical guitar. Rob built and co-owned "Rising Star Music Studios" in Spotswood. In addition to his many accomplishments, Rob has performed with bands such as "Jester," Shyer," "White Men Can Funk," "The Rob Staats Victory Project (R.S.V.P. )," "Mirror, Mirror," and "Left Overture." If you are interested in guitar lessons, please contact Rob at SimpleGroove@optonline.net. A New Jersey native, Joe has been playing bass since he was a teenager. Firmly rooted in The Blues, his first band featured a harmonica player as its lead instrument. Next, he was in several original rock bands and played with The Streets at The Stone Pony and CB-GBs, back in the day. Zooming up to a few years ago, he set the groove for the original punk-rock band Dirty Johnny, which is where he first found out that "going down" can really set the mood of the song, and he started playing a 5-string bass exclusively. This foray into all things punk allowed him yet another opportunity to play at the now "legendary" Stone Pony. Here is where he got the nickname "Joe Fish". His next move was into Piece Of Candi, a 6-piece rock/pop cover band, where he set the groove every Friday and every Saturday night for several years. Realizing that "less is more," he's happy to be working with such fine musicians, setting the groove in "Simple Groove." Joe currently lives in Toms River, NJ, with his beautiful bride, Nancy. What's on his playlist now? : The songs that make up the set list!!! Biggest guilty pleasure: Giving things away on www.freecycle.org, talking about everything bass on www.talkbass.com, buying and selling stuff on eBay, and anything PURPLE. Joe uses Elixir Medium/Long Scale strings on his purple Ernie Ball Musicman Stingray 5-string Bass. He tunes with a Peterson VS-1 Strobe tuner. He plays through a Zoom BFX-708-II pedal into a SWR SM400S amp with a BBE Sonic Maximizer 411, into a Dr. Bass Rx210 cabinet (for highs), and an Acme Low B-2W (for lows). Ralph hails from Brooklyn, NY and now resides in New Jersey. He brings over 40 years of experience to the band which include, Vocals and Keyboard Programming. Ralph began his musical career at the age of 8, playing the accordion at class recitals. Shortly thereafter, Ralph traded in his accordion for an electric organ at the age of 10 and began playing with local friends, performing at various church dances and block parties. Ralph says, " Once I heard Santana and the Hammond solos, I was hooked on that sound." Some of Ralph's musical influences include, Santana (Gregg Rolie), Elton John, Billy Joel, The Rascals, and Chicago's Robert Lamm. He has performed throughout the East Coast at various venues such as, OBI East/West in Long Island, L'Amour, the Miami Club and for the Relay for Life foundation. His past bands have included, Just Us, Caracas, Heartbeat, Backstage Pass, Party Of Two, and Free Pass. Ralph spent most of his adult life in the technical field. He was Manager for Bank Of Montreal, SIAC and Manager of Technical Support Editorial System for Newsweek Magazine for fourteen years. Now, Ralph is enjoying his time playing in Simple Groove & also with Gypsy, A True Stevie Nicks Experience. Ralph states, "This is a great opportunity for me to play with some accomplished singers and musicians." Brian is lifelong music lover. 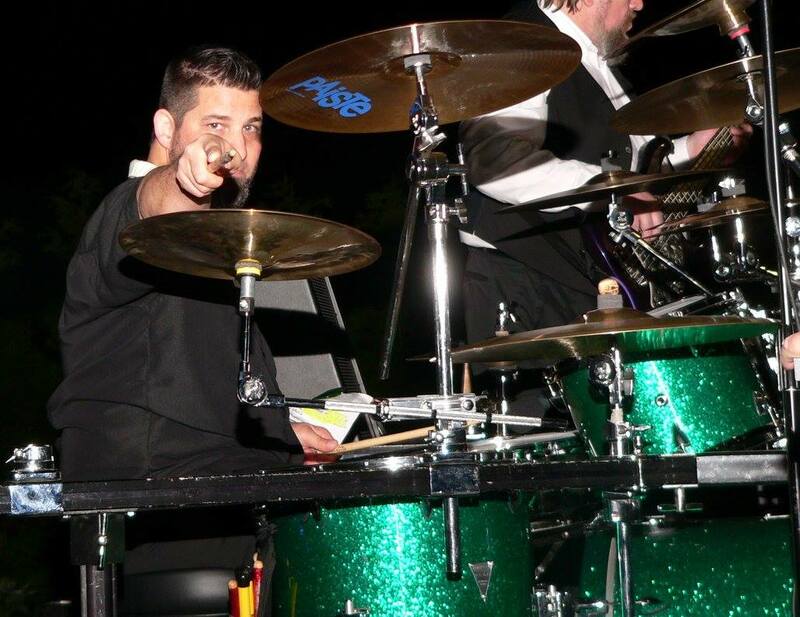 This NJ native began playing drums at age 12 when his friends wanted to put a band together. Since Brian’s brother already played drums and they were easily accessible, Brian soon began his path as a rock drummer. He began performing professionally in 1986 which led to other successful gigs including a stint at the legendary CBGB’s.